Heeft u een vraag voor Black Penny Villas Ubud? Gelegen in het hart van Ubud, is het Black Penny Villas Ubud een ideale uitvalsbasis om Bali te ontdekken. Het hotel ligt 41.3 km van het stadscentrum en de belangrijkste faciliteiten zijn dus goed bereikbaar. Een baken van rust en ontspanning: dit hotel is het perfecte verblijf op steenworp afstand van bezienswaardigheden als Lobong Kookklas, Kuluk Galerie, Neka Kunst Museum. Bij het Black Penny Villas Ubud staan de excellente dienstverlening en superieure faciliteiten garant voor een onvergetelijk verblijf. Maak in het hotel gebruik van een selectie topklasse faciliteiten, zoals gratis wi-fi in alle kamers, snel in- en uitchecken, bagageopslag, wi-fi in openbare ruimtes, parkeerservice. 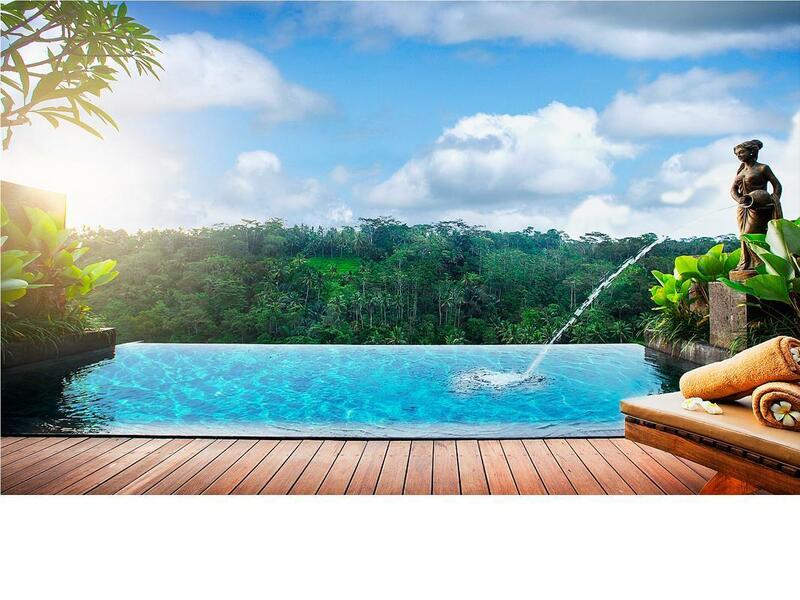 Het Black Penny Villas Ubud beschikt over 10 kamers, allemaal smaakvol ingericht voor optimaal comfort, met voorzieningen als plasma tv, privézwembad, draadloos internet (gratis), rookvrije kamers, airconditioning. Het hotel biedt fantastische faciliteiten, inclusief zwembad (buiten), massage, tuin, zodat u kunt onthaasten na een bezige dag in de stad. 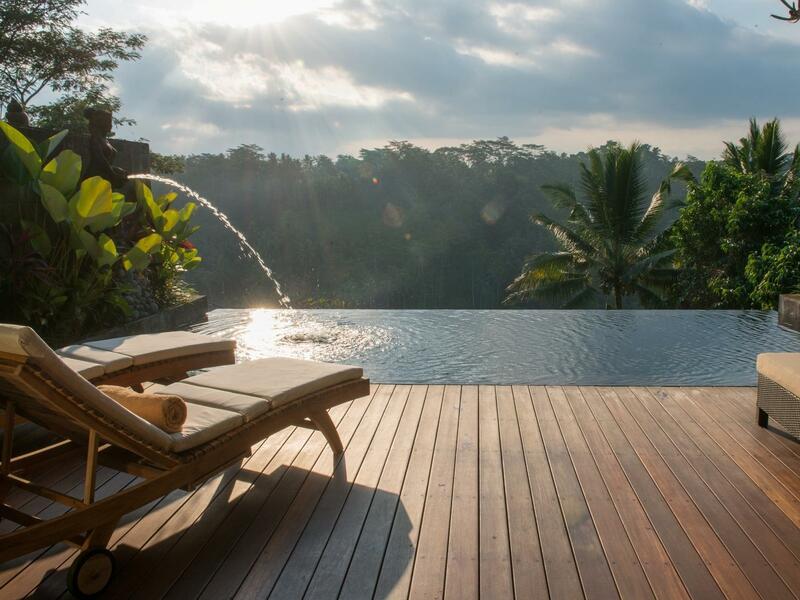 Geniet van ongeëvenaarde dienstverlening en de prestigieuze uitstraling van het Black Penny Villas Ubud. houd rekening met het feit dat Bali eiland Nyepi (stilte) Dag viert op de volgende data: 9 maart 2016 en 28 maart 2017. Gedurende Nyepi Dag (Dag van de stilte), wordt er een absolute stilte gehouden over het gehele eiland. Buitenactiviteiten zijn niet toegestaan, met in begrip van inchecken en uitchecken bij hotels. gewoonweg zalig! Wij zullen dit hotel zeker aan anderen aanraden; personeel was zeer hulpvaardig en vriendelijk. We komen zeker terug! We stayed here for 2 nights, the room was very nice and private with a Great Private Pool. We enjoyed a relaxing time here. The staff were really nice. Note: No elevator in this villa but the staff carried all our luggages to the room. I would definitely stay here again. Great for a get away. The view from the private infinity pool was breathtaking, the room was beautifully designed and very clean, the bathroom was goals and amenities by Bvlgari! Breakfast was great and fresh. Staff went over and beyond. I also love that the only way to go in and out of the villa was by stairs, it’s a great workout but not for people who can’t take the stairs. The only con is the entrance to the resort. It’s especially difficult to spot it at night as the signboard is not big enough and not properly lit, at the same time the driveway is very very small, just enough to fit one car without margin. Very difficult for those who drive in Bali. Other that that, this resort is one of the best I’ve stayed in my life. Great, accommodating staff. A bit hard to communicate with them because most staff members couldn’t speak English. Room was very nice and had AC. No spa at the villas so they only could offer limited spa services in your room (massage only). If you wanted more spa services then you have to take a moto ride to the spa up the road (no thanks!). Also no child care offered. There wasn’t anywhere to walk so you have to get a driver or taxi service to go anywhere. If you like private rustic villas then this is your place. WiFi was pretty good too. Excellent food and room service was offered. Dear Dana, warmest greeting from Black Penny Villas Ubud Bali. We do apologize to hear that our staff is not fluent in English. But we will do our best to improve our products and services. We do hope to have another chance to welcoming you return at Black Penny Villas Ubud Bali in future. Supeni- E-commerce. Pros: - Awesome view overlooking the valley - Private pool - Well designed villa - Breakfast was excellent - Good service Cons: - Floor was somewhat oily, probally left over massage oil Overall a great experience, recommended. We have stayed in the river view deluxe villa , me and my partner we didn’t wanna spend the time inside the villa just sitting and watching the beauty of the surroundings, the hotel is just a hidden gym in Ubud, the staff were just beyond exceptional , from the moment you arrive you will feel the royalty, breakfast served In the villas or else you can have it in the pool. I’m so grateful that I have found black penny and could stay there. Pros... View is nice minus the noise and paint smell. Internet is fast Cons 1) we un load our own luggage.... Staff is not ready upon arrival 2) noise from next door construction and very strong smell paint 3) the worst bugs investation, suggest to fog it with right dose regularly.... Took a vid as evidence.... Pool full of bugs and enter the room as well. Yes they clean it but after so many bugs, digusting feeling rise up! Let me know how to enjoy our stay after horrible view! 4) very loud aircon sound from compressor at night Seriously out of standard with amount paid. Full disapointment. Should put in description if there is contruction so people do not feel cheated...!!! Wasted travel so far for this standard and most important waste our holiday time to stay here! Everything was amazing. No complaints at all. The view from the bed to the pool and the jungle is magnificent. The staff is fantastic and the location is great. We would definitely stay again at Black Penny Villas. Infinity pool is private and good for Arab and Muslim feamail. Guys bali is safe for everyone. Please coming back to bali for this holiday season specially. Since mount agung erruptions in news and social media. Bali is very quite for this peak season. And made me so sad about it. Worthy for the price. Great food for breakfast. Amazing view,feel,and sound nature of ayung river in this place. Perfect place for relaxing in villa. And we can go stairs down for hundreds steps down to ayung river for relax there or rafting. This villa has so many choices for tour and sport. For you who need it. Great choices for us who celebrating our anniversary. Unforgetable moment since this is our first time visiting ubud. Thankyou black penny villas for a such great service. We were on our honeymoon and this hotel was perfect for our stay. The view was unbelievable, the staff was friendly and nice. Room service was good. Breakfast and afternoon tea were provided in-room and they were great. Bottomline: it's a great place to recharge, refresh in solitude. It has maximum privacy with great view and minimal noise. Exceptional place for couple who does not like nightlife (the hotel is quiet far from restaurants and bar). 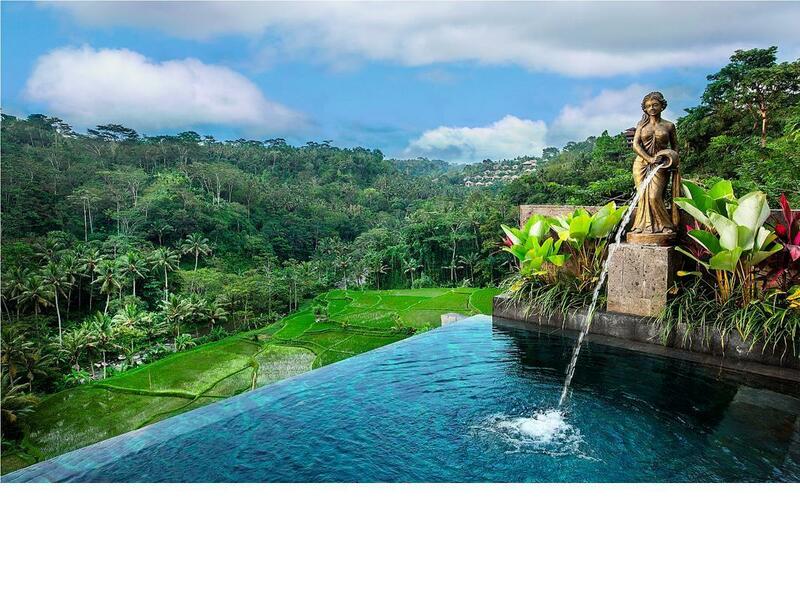 Totally intrigued by the villa concept, the infinity pool facing the rice field and jungle is such a breathtaking view for us. It is very peaceful and quiet at night, we had very good night sleep in here. We will definitely come back to this villa in the future. Like the outdoor bathtub and shower facilities. Mosquito repellent are always ready in the room. I love my stay in black penny villa. The room and scenery is extremely beautiful and relaxing. it isn't too big like the other villa that will feel creepy, the room feels very cozy and nice. Bed is very comfortable and clean. Love seeing the attap house roof when I sleep each night. We ordered their room service and the food was delicious. Breakfast set is also not bad. Hotel staffs are friendly and helpful and very patient and smiley. If it wasn't for the expensive price of the room stay, I would love to stay in this villa for a few more nights. Only downside is the lack of accessibility, it will be good if the villa can provide free transport services to the places we want to go to since it is highly inaccessible and besides there is only 10 private villa room, this shouldn't take up too much of the villa's resources.This would perfect my experience here.